Hapag-Lloyd Cruises is acquiring two ships, one of which will be positioned in the luxury segment and the other as a premium vessel. The new Europa 2 will enter the luxury fleet in spring 2013, while the premium Columbus 2 begins service in April 2012. The Europa 2 is a newbuild with 258 suites for a maximum of 516 passengers while Columbus 2 has 349 cabins for a maximum of 698 passengers. “We are pleased to be increasing our product diversity with both ships with the aim of reaching new target groups,” said Sebastian Ahrens, Hapag-Lloyd managing director. “The Columbus 2 achieves the demand for a relaxed, small premium ship with a modern concept and the Europa 2 is the logical further development of a contemporary interpretation of a luxury ship sailing alongside the Europa, and will be positioned as a lifestyle-oriented, informal sister ship on a five-star level." The Europa 2 will have 300-square-foot veranda suites, spa suites, a penthouse and family suites. The ship will have seven restaurants including a sushi bar, two lounges, four bars and an entertainment program. It will offer sport and health-oriented facilities, plus a large wellness and spa zone. 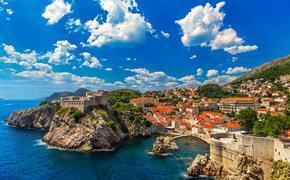 Europa 2’s will operate seven-day cruises in the Mediterranean in the summer and distant destinations in the winter. The ship will be equipped with a fleet of Zodiacs. The Columbus 2 has 28 inside cabins, 89 outside cabins, 170 balcony cabins, 52 penthouse suites, four Vista suites and six owner suites. The cabins have a standard size of over 215 square feet. The ship will have four restaurants, three bars, a pool deck with a stage, a spa and wellness zone, a pool and Jacuzzi, a jogging course, and a golf driving range. The Columbus 2 is expected to operate seven-day combinable routes in the Mediterranean in the spring and fall and 12-day cruises Baltic cruises. The Columbus 2 will also offer two- to three-day introductory cruises. Winter months are also set aside for a World Cruise. Reservations will be accepted for the Columbus 2 starting on Jan. 25, 2012. For more information, visit www.hl-cruises.com.